Whether you need a tank or tankless water heater repair or water heater replacement, Schlueter Plumbing can help. Our plumbing specialist work on everything from residential 2.5-gallon tanks up large commercial water heater systems. 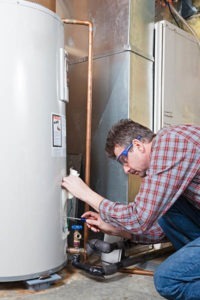 Our plumbing specialists can help with replacing a tank water heater or tankless water heater. We can help you decide which type is right for your home or company. Schlueter can also remove your old water heater tank and replace it with a new tankless water heater. Trust Schlueter Plumbing to find the right solution for water heater repair or water heater installation for you. Call today at 513-771-7588 or click here to schedule an appointment.